Gran Muralla - China: El tramo de muralla de Simatai esta a 120 km al Noreste de Pekin, en el condado de Miyun. Esta sección controla el estratégico paso de Gubeikou. 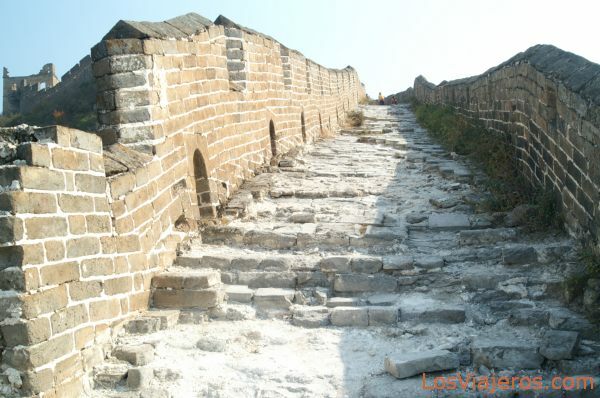 Great Wall - China: Simatai section of the Great Wall of China is located in the north of Miyun County, 120 km northeast of Beijing, holds the access to Gubeikou, a strategic pass in the eastern part of the Great Wall. Puerta de Tiananmen de noche - Pekin Tiananmen Gate at night - Beijing "Index"